Microsoft Office 365 is packed with features and customizable options that have incredible uses in your professional and personal life. By using Microsoft Office 365 for your personal needs you may sharpen your Office skills in surprising ways. 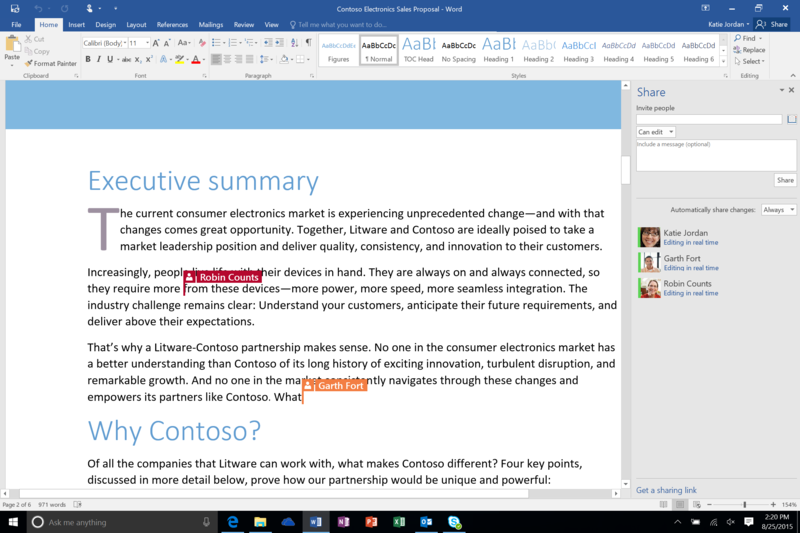 Microsoft Office 365 is the perfect solution for online collaboration. You can save your files to the cloud using Microsoft OneDrive and have your word document be instantly accessible to co-authors and editors for further work. No matter where you or your co-authors are, you’ll have access to Word, OneNote and any other Office 365 application that you need to create the projects you want to make. Skype now offers much more than just internet calls and video conferencing. There are chat and share screen features that allow you to connect with anyone anywhere. Mastering these features can make you indispensable at work. Excel now has powerful interactive data visualization features that are enhanced with PowerBI. Power Maps is a fun way to analyze and visualize data insights from your existing excel data. Take your rows of data from excel to be transformed into a colourful map. Coordinating workflows can be a complicated process. With Office 365 Planner you can make sense of the madness and organize collaboration in a systematic way. Planner allows you to assign tasks, organize plans, share files, add task comments and set deadlines. This can help simplify the process of arranging your next big family reunion. In today’s modern media landscape, the medium is the message. Use Microsoft Sway to create stunning newsletters and presentations about your passions. Help your network understand the beauty of your hobbies with a fun interactive presentation. Check out some examples here. The applications of Microsoft Office 365 are incredibly versatile and can make your life easier in a variety of different areas. Get started with Microsoft Office 365 with PropelU Cloud Solutions’ migration services.